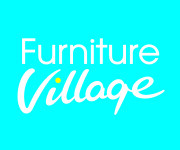 PRIME Systems has been appointed by Furniture Village as its health and safety software partner. The company, which is the UK’s number one independently-owned furniture retailer, is using two of PRIME’s modules: Accident & Incident Reporting and Compliance Monitoring. A family-run business which opened its first site in Abingdon in 1989, Furniture Village now has 43 stores across the UK plus 14 depots and a flourishing online retail operation. Sue Browne, Group Health and Safety Controller at Furniture Village, commented: “PRIME Systems was an obvious choice in supporting our operations with compliance and accident reporting. Furniture Village as a company has its own unique family culture and we were confident PRIME could design systems with this in mind. By offering an imaginative range of high quality product lines at competitive prices, Furniture Village is continuing to change the way people shop for furniture, both online and in-store. PRIME has established an impressive track record in retail, working for the likes of W H Smith, Wilkinson and Argos. The PRIME Systems Accident and Incident Reporting module provides a straightforward process for recording occurrences of personal injury, property loss and other incidents such as damage, abuse, robbery and alarm activations. The system can also be used to report illnesses, near misses, dangerous occurrences and visits from enforcement officers. PRIME Compliance Monitoring provides a comprehensive and easy-to-use way of recording routine checks at whatever frequency required, from daily to annual.